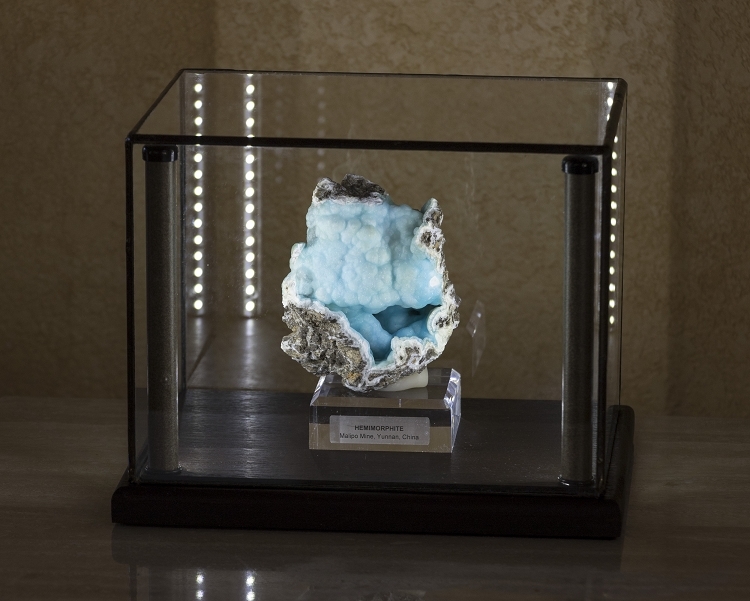 The best way to display and protect a specimen or delicate piece of art is with a lighted display case. 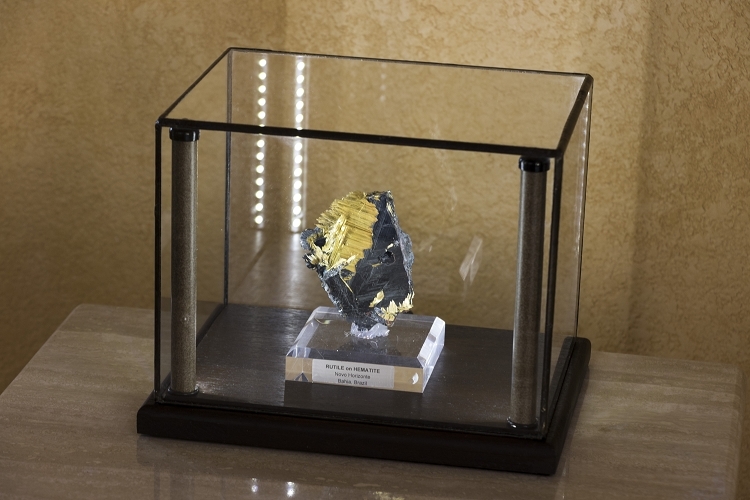 "Greenstone Lighted Display Cases" are the most beautiful and highest quality lighted display cases you'll find anywhere. 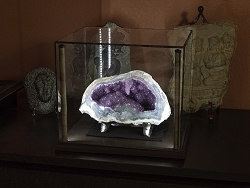 They are designed to have the look and feel of a turn-of-the-century museum display, and seeing them in person allows you to really appreciate how amazing anything you place inside appears! 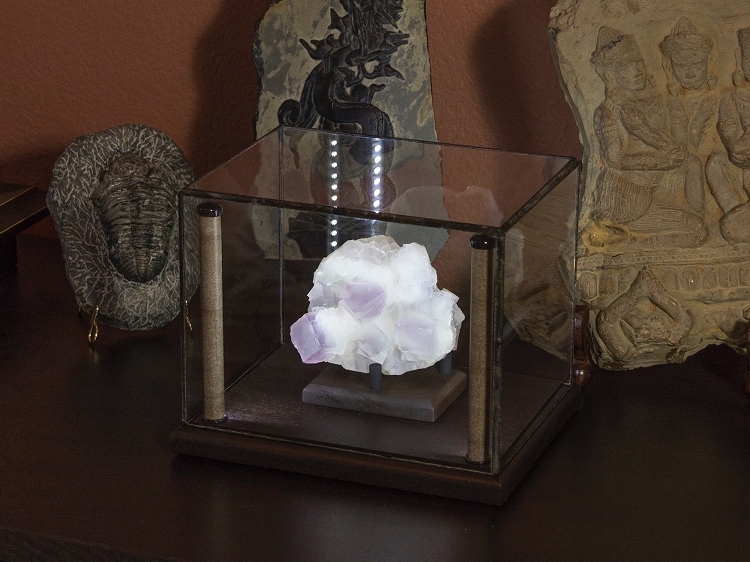 Additionally, your specimens or collectibles are protected from dust and other hazards. 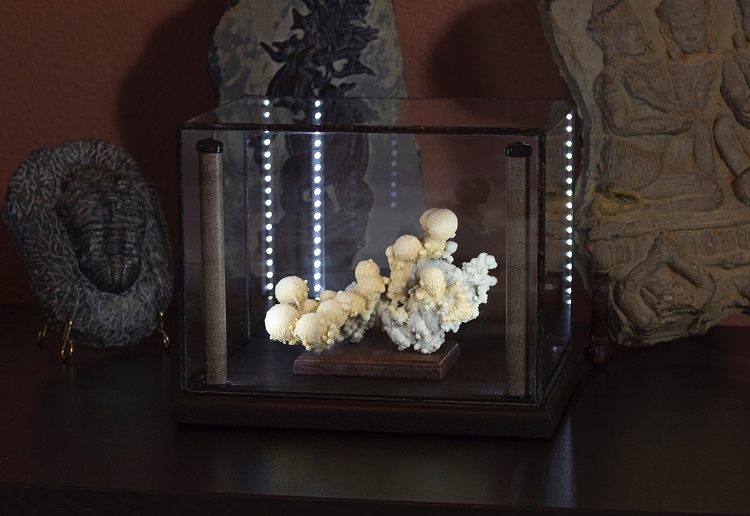 We hand-craft each display case from solid mahogany and glass, and use two dimmable super-bright LED tubes so you can control the brightness. 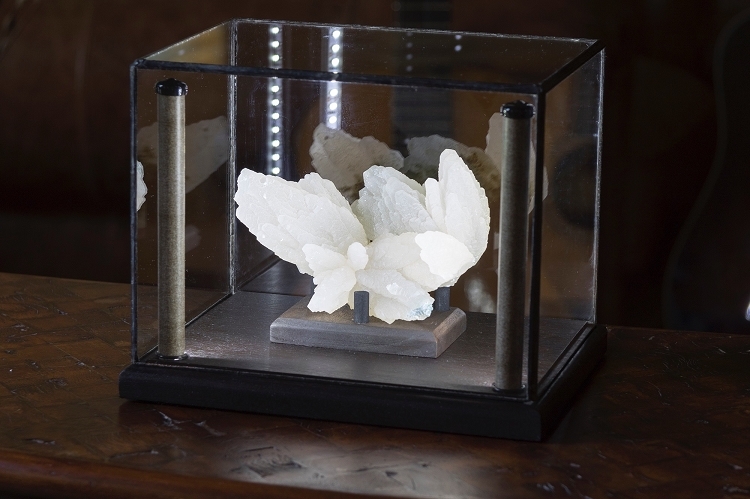 We begin by cutting glass panels, and then painstakingly hand-solder them to form the glass top. The base is cut from a solid board of mahogany, and then hand routed, drilled, sanded, and stained. No computerized fabrication, ever! Even the lighting system is assembled one component at a time as we solder the wiring and assemble the tubes. In addition, a sheet of black felt is applied to the bottom of each case so that it can be safely placed on any surface. The result is stunning! The camera simply cannot capture the dynamic range of what you see in person! 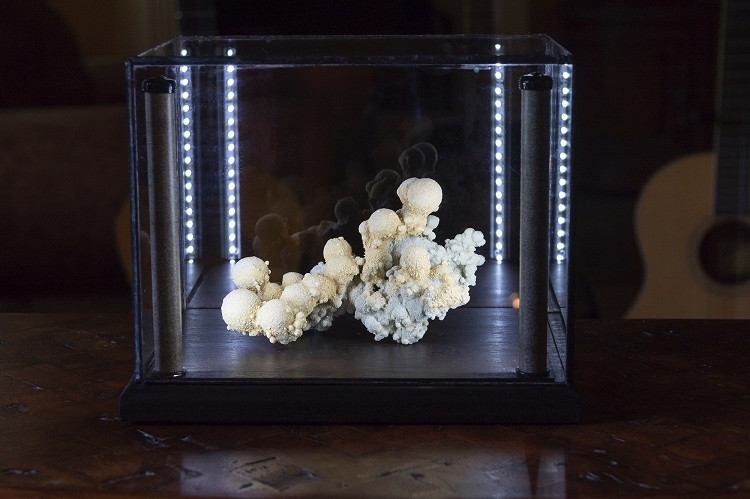 We stock our custom sized cases in the Java stain, but we can also build custom sizes, colors, and lighting configurations including cases with backlights and bottom lights. 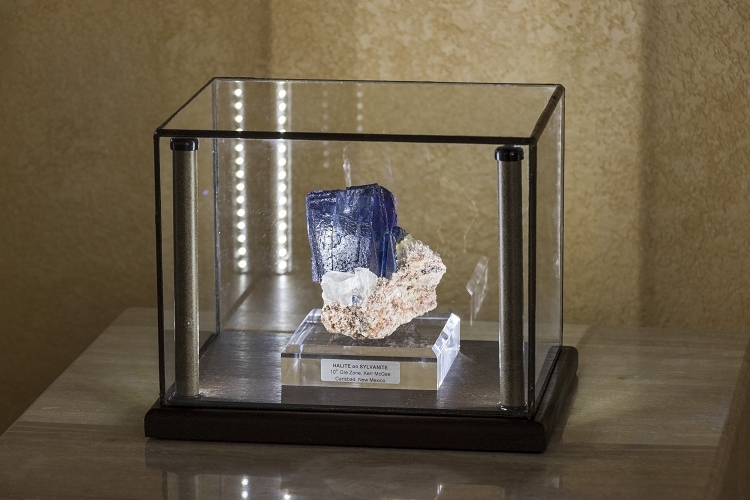 Please contact us for a quote on a custom-built case. 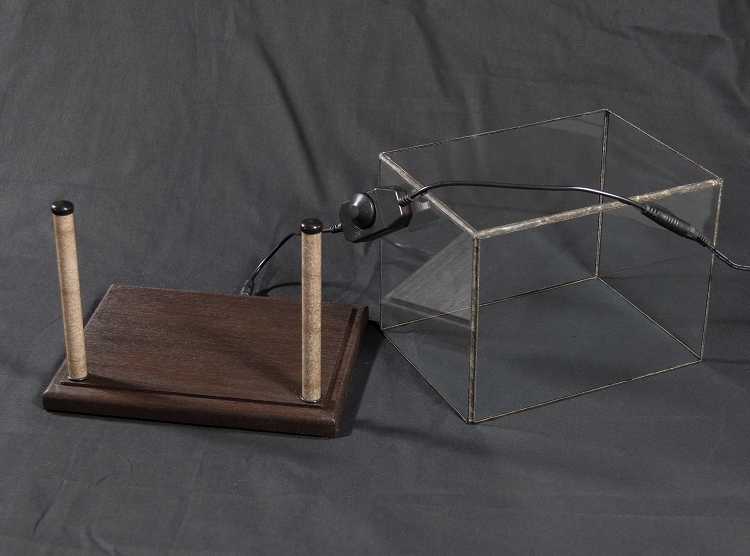 **The specimens in the photos are not included. 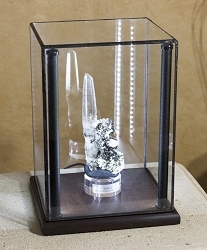 ** You will receive the display case along with a dimmer switch and 12v power adapter. 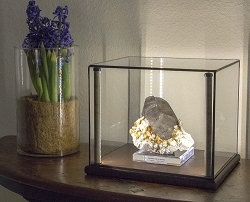 Lighted Display Case - 6.5x9x6"